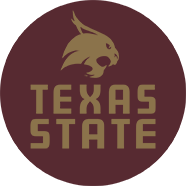 Nestled off IH-35 in the beautiful Texas Hill Country, you will find the breathtaking Texas State University campus located in the rapidly growing city of San Marcos, Texas. Once you take exit 206 and drive down Aquarena Springs into town, you will notice that the city has kept most of its small town charm and you will instantly feel like you are home. Most students say that seeing the tops of Old Main, one of the oldest buildings on campus, when they drive in from the highway towards campus is what called them to attend this university. Also seeing the San Marcos River flow right through the campus is a pretty big seller for Texas State students. You heard right – the San Marcos river flows from the Edwards Aquifer, one of the world’s most fertile artesian aquifers, along Sewell Park and through our scenic campus. Sewell Park is a popular hangout spot among students: offering luscious grass to lay out on, also known as “Bikini Hill”; free Frisbee throwing lessons from Frisbee Dan; basketball and sand volleyball courts; kayaking and tubing in the San Marcos River – for a quick 45 minute trip you can glide along the water down to Rio Vista, also a popular hangout spot by the river for students and residents. If you want to take a longer float down the river (and I suggest you do) head just five minutes out of town toward Martindale and hit up Texas State Tubes – the best float along the San Marcos River, guaranteed. 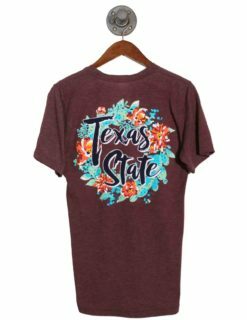 When students aren’t outside enjoying the beautiful weather and scenery Texas State has to offer (okay, who are we kidding – everyone is outside pretty much all of the time!) then you will probably find them hanging out in The Quad on campus. There is nothing that makes class more enjoyable than a quad filled with booths giving away free items, vendors selling delicious in between class snacks, and getting to catch up with friends under the shade of the award winning trees on campus (seriously, in 2011 Texas State was recognized as “Tree Campus USA”). On campus you will also find students attending class in state of the art classrooms and lecture halls (McCoy College and UAC to name a couple), searching for the albino squirrels that bring good luck to anyone who sees one, rubbing the Fighting Stallions statue on campus for good luck before turning in that term paper, and wearing Maroon and Gold on “Spirit Fridays”. 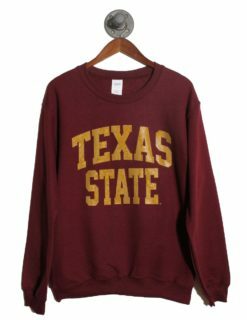 The school’s colors were inspired by the native wildflower, Gaillardia, also known as an “Indian Blanket”. You can also find students volunteering around campus and attending university sporting events. Bobcat Build is the biggest annual volunteer event on campus and the second biggest volunteer event in the state. Bobcat Build provides students with the opportunity to give back to their university and town by beautifying areas on campus and throughout San Marcos. 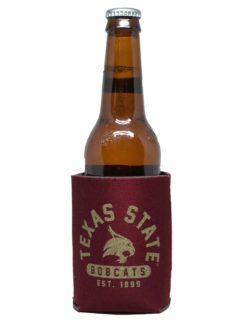 During the fall you will find Texas State students tailgating throughout Bobcat Alley and then heading into Jim Whacker Field to cheer on the Bobcats! Be sure to learn the correct hand sings before you join in on the cheering – right hand: make a claw, for “eat ‘em up, cats” and left hand: make the shape of Texas, notice your ring and pinky finger point to “the heart of Texas”! 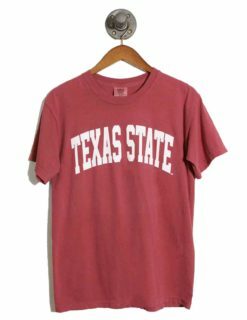 Also be sure you know the correct chant, it’s simple but really powerful when done right – when you hear TEXAS, you yell STATE… TEXAS! STATE! See? 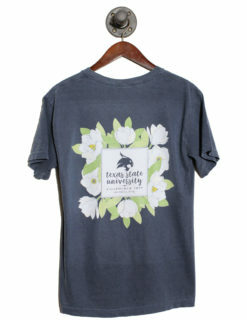 It is sure to pump up the players and fill the stadium with undeniable school pride. 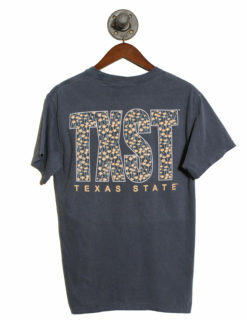 Now that classes are winding down for the day and the students have finished their homework, chances are they are heading down to The Square for some shopping and happy hour cocktails. Within walking distance from campus, The Square is home to many unique shops and restaurants full of traditions. 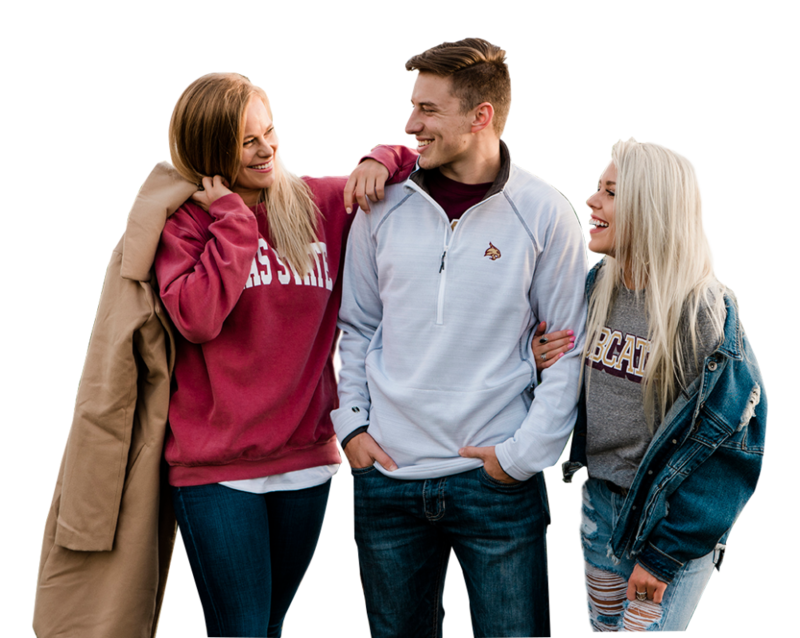 You will find Barefoot Campus Outfitter, a fairly new shop in town that has been student/resident tested, and student/resident approved! 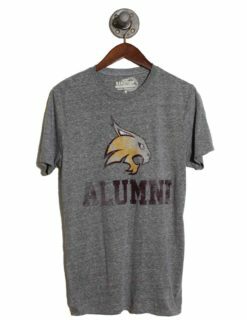 We carry apparel for everyone – students, alumni, family, and even if you’re here just to bask in the spectacular vibe of the town, we carry San Marcos apparel as well. 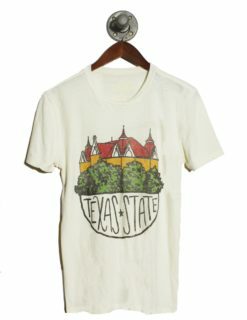 After the students stop by to get their school spirited outfit for the day, they will hit up other popular stops along The Square, including but not limited to: Gil’s Broiler: famous for the Manske Roll – LBJ graduated from known then as Southwest Texas State Teachers College in 1930 and ate at Gil’s all of the time. When he was elected as president, LBJ actually had Gil’s ship Manske Rolls to the White House. You must try one, you won’t be disappointed, I promise. There is also a LBJ museum located on the square that provides very interesting and interactive exhibits, also another essential stop; Root Cellar: a town favorite with their farm to table distinctive meals and their quaint winery located right in the restaurant – celebrating, date night, or just because, this restaurant is sure to impress; Palmers: one of the oldest restaurants in town has kept up with the changing times quite nicely – a favorite spot for weekend brunch and their happy hour Mexican Martini’s, this place will transport you out of San Marcos into your movie scene day dream; Chimy’s: the typical first stop for students before they bar hop for the night – famous for their house margaritas and Dr. Pepper Shootouts; Stonewall: the first and only LGBT club on the square; Zelick’s: known for its well-crafted cocktails and hand-picked craft beers, dog-friendly, and cozy atmosphere, it is definitely “the best little icehouse in Texas”; The Marc: formerly Texas Music Theather, this night club and music venue hosts various music artists from Wade Bowen to Blue October to Cake, this bar is always sure to provide entertainment any night of the week. These bars are open until the town shuts down at 2a.m. every night, so bored is not a very familiar feeling with San Marcos’s thriving night life. Every now and then students will decide to venture off of the Square and go explore other enticing parts of San Marcos. Cheatham Street Warehouse is very popular among the country music lovin’ students. CSW was founded by the godfather of country music, Kent Finlay and has provided a home for singer-songwriters encompassed with a nurturing manner that has developed some pretty big names in country music – George Strait, Stevie Ray Vaughn, and Randy Rogers Band, just to name a few ;). The infamous Outlet Malls are also very close by, just take IH-35 south to exit 200 – but be sure to eat lunch at Centerpoint Station before you get lost in the abundance of deals the outlet mall has to offer. Into nature? San Marcos is home to tons of natural preserves full of hiking and bike trails, lakes, and beautiful scenery. A day at Purgatory Creek or Springlake Preserve is sure to fill your lungs with fresh air and your mind with sheer accomplishment. If you’re feeling like a quick out-of-town getaway, San Marcos is close to many cities with lots to offer. A quick 30 minute drive up north puts you in downtown Austin, Texas. A 45 minute drive down south puts you on the Riverwalk in San Antonio, Texas. And a beautiful scenic 20 minute drive along Ranch Road 12 puts you in the whimsical town of Wimberley, Texas. No matter what your quest might be the enamoring, not-so hidden gem of San Marcos really provides it all. 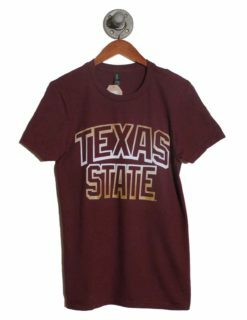 Barefoot Campus Outfitter has Texas State long sleeve tees, Texas State short sleeve tees, Texas State pullovers, Texas State sweaters, Texas State hoodies, Texas State jackets…whatever you might need! 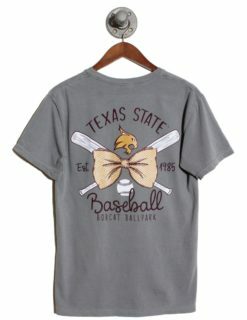 Need a shirt for the Texas State baseball and softball games? We’ve got it. The basketball games at the Strahan Coliseum? Check. 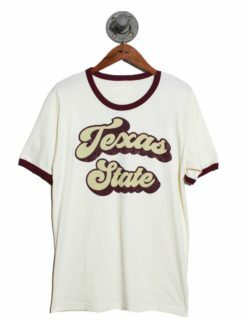 Gear for the Texas State Football games? Check. 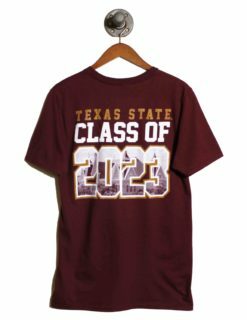 We also have Texas State polos, Texas State shorts, Texas State sweatpants, Texas State caps, Texas State gift items…literally anything you can think of! So shop on by and say hi. We look forward to meeting you and we will see you soon! We’re excited for you to visit, and we’ll welcome you as a friend when you decide to stay just a little longer.